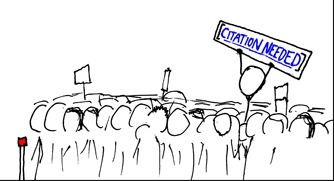 10 Chrome extensions to help manage references, notes, citations and capture information. From literature searches to collaborative online writing, a significant amount of the research process now takes place online. Andy Tattersall provides a list of useful Google Chrome extensions that can be added to the browser to help facilitate the daily academic workflow. Recommendations below cover tools for reference management, link saving, and finding quick access to academic articles. 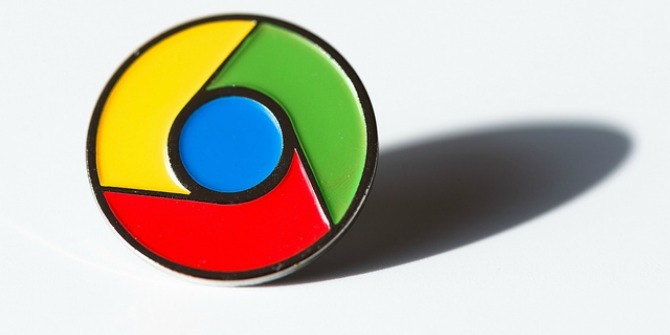 Not everyone uses Google Chrome as their browser of choice, some can’t install it, others can’t get on with it and there are probably a few who still do not realise it exists. Whilst Chrome has a wealth of good reasons why you should use it, from syncing your accounts across devices to its search functionality; there are other reasons why you should consider Chrome. These are called extensions which you can install to improve your web experience even more. There are a growing number of useful extensions for the digital academic, of which I have picked 10 of the best below. I’ve also given the Chrome Store average review and how many copies of each extension has been installed, as a broad indicator of popularity and uptake. Readability is a tool I’ve promoted on countless occasions thanks to ability to turn complicated, image and link-heavy web pages into simple, clean PDF type documents. By clicking this extension whilst viewing a webpage you can read the article free of distraction or save it later to read offline on your computer or tablet. Evernote is a bit of a Swiss Army Knife of an extension. Not only does it do something very similar to Readability and clean up web pages for later viewing but it also captures the web page in full with its Web Clipper tool. You can also take screenshots, save articles and bookmark pages to your Evernote scrapbook. If you are making a presentation, poster or writing something that requires a URL it’s important to make those links as easy to copy and access as possible. Very often presentations link to external artefacts, or give copyright attributions that have a URL so long and complicated that only the most eagle-eyed will be able to write it down before the presentation moves on. The Bit.ly button turns the long URL into something much more digestible, as well as make it useful for anyone Tweeting the link and wanting to save on character space. Taking screenshots can be a laborious task and often resulted in hitting the ‘Print Screen’ button followed by cropping the outer content in Paint (when you could find it), PowerPoint or some other tool. Nimbus Screenshot is one of many similar tools that allows capture and crop all directly from the browser. Cropped content can be edited and annotated before being saved locally to your computer. An interesting and inventive extension to say the least. Lazy Scholar gives users a snapshot of metrics relating to a piece of research. It can be hit and miss at times but is worth trying out to see what data it retrieves. By clicking on the extension in sites such as Pubmed the Lazy Scholar toolbar pops up giving information on Scholar Cites, Web of Science score, Altmetric score, Journal Impact Factor, as well as contact email and whether there have been any comments on the paper. This works with Google Scholar and turns search results into easy copy and paste references using the main styles of APA, MLA and Chicago. The extension also allows you to track down PDFs of the paper and export results in a variety of formats that can be used in reference management packages. This is an extension for Twitter that mirrors your Twitter experience and allows you to follow your timelines, compose Tweets, share, delete and favourite them. It automatically creates short URLs within the extension and acts as a notifier for new Tweets. Unlike the other extensions in this list, PaperPile isn’t free but comes with a 30 day free trial so at least you can decide whether it is useful. PaperPile is a reference management tool for researchers and students who rely on Google Apps to carry out their research. One of the flaws in the Google education model has been the lack of a good, solid reference management tool. Tools like Mendeley, Zotero and Endnote are quite comprehensive and rightly so as accurate and thorough referencing in academia is important. So whether this extension can match these established tools, only time will tell. Nevertheless it is worth investigation for Chrome based researchers. Another citation tool to investigate alongside the excellent EasyBib and RefMe ones that are also worth looking at. Cite This For Me can create references in APA, Chicago, Harvard and MLA formats and provides a pop-up box containing the appropriately formatted reference for books, newspapers, journals and more. I tried it with a BBC football story and it worked fine, allowing me to switch between citation styles. It gives the option of adding to your Cite This For Me bibliography or exporting to a piece of research. After a while you might start to notice whilst having multiple Chrome tabs open that your computer struggles with performance. Obviously having multiple tabs open is going to use valuable computing resources. Having lots of extensions running can also be at the detriment of your computing experience. Therefore it becomes increasingly important to have an extension to manage your extensions, especially when you accrue so many, some of which you may have stopped using.